Our recent survey of previous Team Demo event attendees revealed the necessity of more family-friendly ticket options. You asked and we answered. 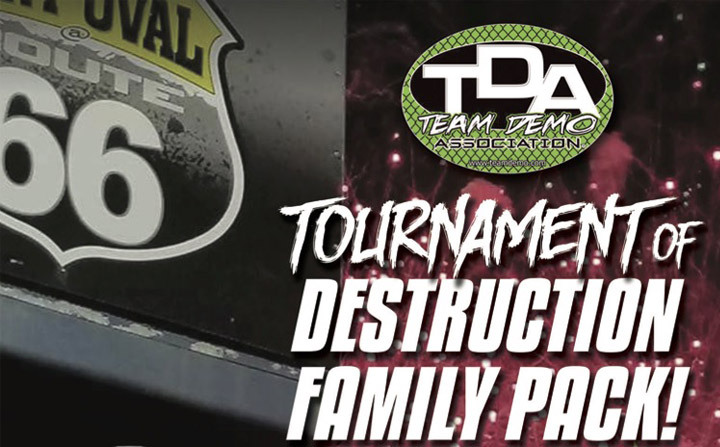 New for 2019, the Tournament of Destruction Family Pack! 2 Adults, 3 Juniors (ages 3 – 12), plus hot dog, french fries and pop for everyone! Family pack tickets must be picked up at will call on day of the race and are not charged the standard $15 processing fee! Lots of food + zero fees = over $30 saved compared to buying regular priced individual ticket. 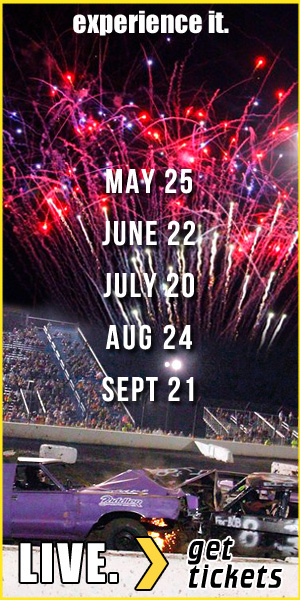 There is limited quantities of Family Pack deals available for each Team Demolition Derby and the discount ends two weeks prior to race day. Select any of the five events and choose the Dirty O Family Pack for the instant savings at checkout. Call the TDA office at 815-740-8000 with any questions or to reserve your pack. 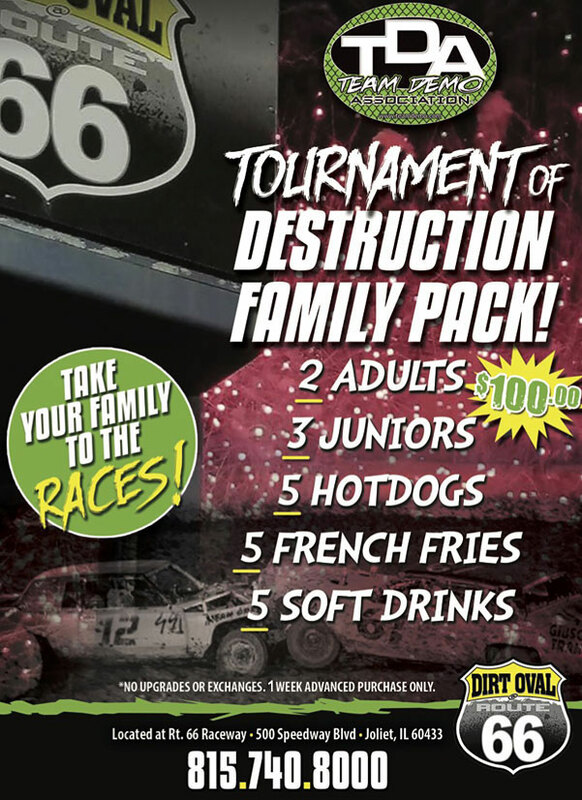 Plan a family night of entertainment and excitement at The Dirt Oval with this deal for destruction! *Family Pack applies to general admission grandstand tickets only and is not available for Reserved Seating in section 101.